After years of controversy and struggle, a long-anticipated Mental Health America (MHA) facility, bringing a federally-qualified health clinic that will provide free and low-cost services to neighborhood residents, will come to fruition when it breaks ground in Central Long Beach on September 22. And they will also be bringing a coffeeshop with them. Dubbed Third Wave Coffee, it is backed by Lakers giant Metta World Peace—who will be on hand for the groundbreaking—and will be operated by Alex Kaginaris and Charles Lew. agreement by protecting the surrounding neighborhoods,” said Councilmember Dee Andrews. Third Wave will also act as a market in South Wrigley, bringing in a health-oriented eatery concept comprising of take-out options, juicing stations, and coffee, according to Lew. 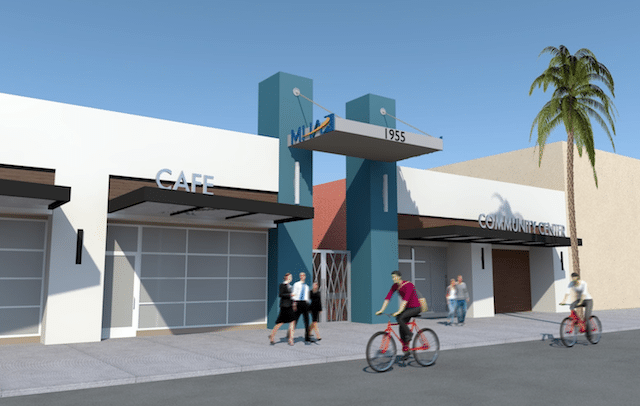 Groundbreaking will take place at the future location, 1955 Long Beach Blvd., at 10AM on September 22. Above: Rancho Los Cerritos. Photo by Brian Addison. Long Beach’s next beer festive, Craft Beer LB Fest, will be invading the historic Rancho Los Cerritos for a family-friendly event that will feature stuff for the kids and pours for the adults on September 23. Kids under 15 are free and general admission tickets are $20 while VIP will cost you $40. For more information, click here.